Join the Concert Club and gain free entrance to concerts in the centre of Prague. We will regularly inform of you upcoming events, so you don’t miss anything. As Concert Club members, you can also gain significant discounts to concerts of the Musica Orbis series. Musica Orbis concert series brings together the most talented foreign performers visiting Prague to offer a particularly attractive programme. This year, Musica Orbis celebrate its 7th anniversary. 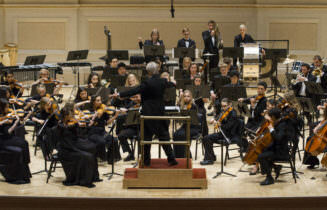 Traditionally, youth and semi-professional orchestras and choirs of the best quality with musicians from all around the world perform in the most prestigious concert halls in Prague. Follow our website to learn more about the current programme. Members of the Concert Club can support charitable projects by giving voluntary donations at our concerts with free admission. In 2018, a total of CZK 123 182 was collected and donated to non-profit organizations from various fields of activity. You have supported, for example, Cesta Domů, which takes care of patients with incurable diseases or Krása pomoci Foundation, which helps the organizations taking care of seniors. 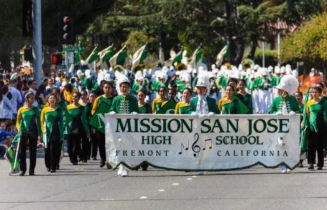 (Česky) Mission San Jose High School je střední škola z kalifornské oblasti Fremont ve Spojených státech. V oblasti Fremont je třetí největší střední školou. K nám do Prahy přivezou nejlepší hudebníky, kteří se účastní hudební vyuky. Těšíme se ne ně! (Česky) Pěvecký sbor Labyrint, který tento rok oslaví 30. výročí svého založení stále se stejnou sbormistryní Lenkou Charvátovou vás srdečně zve na jedno z nejkrásnějších oratorií světové hudební literatury. Stabat Mater od Antonína Dvořáka se pyšní svojí nádhernou zpěvnou melodikou s velkým citovým prožitkem. Snad je to právě proto, že kromě cílené cíkevní tématiky ukřížování Krista, Dvořákovi v té době zemřely jeho tři děti. Bolest ze ztráty dětí se přelila do této skladby, která se od svého počátku hraje po celém světě. Uslyšíte vynikající sólisty. Olga vít Krumpholzová zpívá soprán, Lenka Kučerová alt, Lukáš Hynek-Krämer bas a Jaroslav Březina, který obdržel Cenu Thálie za rok 2015 zazpívá tenor. Sólisté zazpívají dohromady s padesátičlenným tělesem složeným z pražských sborů. Orchestr diriguje Lenka Charvátová. 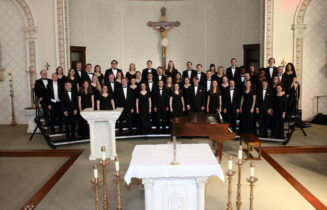 Chamber singers from liberal arts college in Ohio. Heidelberg University is a private liberal arts college in Tiffin, Ohio, founded in 1850. 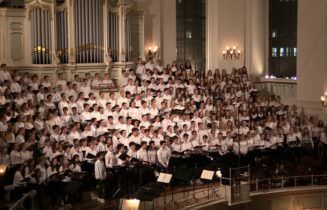 The Concert Choir is the premiere mixed choral ensemble of Heidelberg University’s School of Music. Annually, the choir masters an eclectic repertoire of choral literature representing major choral genres, historical eras, and cultural traditions. 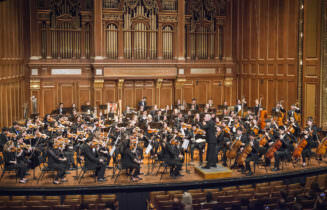 Highlights of the year include the choir’s collaboration with the University-Community Chorus and Orchestra each December in performances of Handel’s Messiah and other traditional holiday favorites and the annual spring tour. The choir is open by audition to all Heidelberg University students, regardless of major. This year, the Heidelberg University Concert Choir’s concert theme is Oh! The Places You’ll Go. For the first time in over a decade, the Concert Choir will be traveling abroad – to Hungary and the Czech Republic– and the places on our itinerary include Budapest, Brno, and Prague! 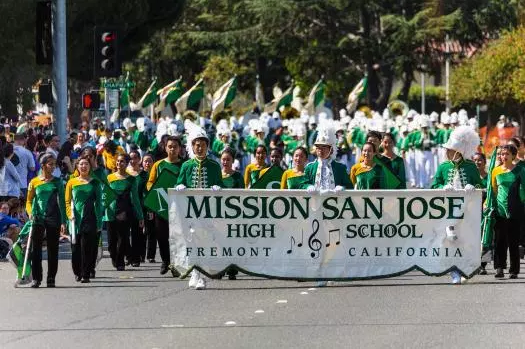 Musically, today’s concert repertoire is organized in a way that seeks to recognize and honor the musical heritages of the countries we will be visiting while simultaneously sharing America’s distinctive musical culture. For instance, we will be performing two selections in the Czech language by renowned Romantic-era composer Antonin Dvořák, and we will be singing compositions by Hungarian composers Lajos Bárdos and György Orbán. Scattered among these pieces, the choir will share choral repertoire from our native treasury of song, including music by William Billings, a prolific composer from America’s colonial era. 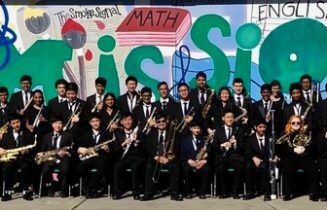 Additional music will include traditional folk songs, African-American spirituals, and repertoire drawn from our popular music tradition. Despite being drawn from distinctive and disparate cultures, the texts of the selections speak of universal ideas: faith and fellowship, love and loss. Over the course of our program, we sincerely hope that our domestic and international audiences will be moved by the symbiotic relationship between poetry and music, and that the cumulative associations of each piece will evoke ever-developing images regarding the essence of life itself.